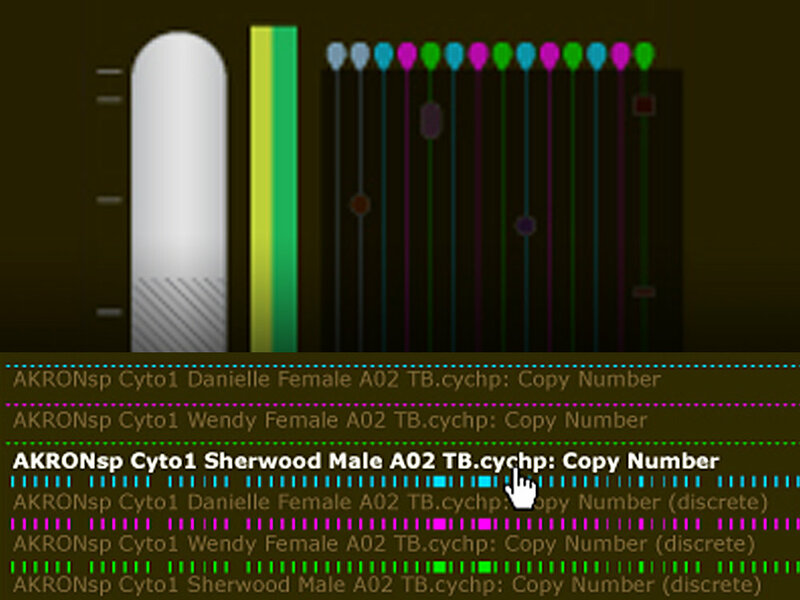 Affymetrix had developed a visualization tool for doctors that could display chromosome strands from DNA and provide tools for analysis. Unfortunately, while the technology was revolutionary, the visual representation of the data was complex to review and incomprehensible in many instances for doctors. We were challenged to come up with a redesign the interface as well as the visual notifications that the tool provided. Our approach was focused on improving the visual design of the application. We had very little latitude to make any UX changes. Since we'd understood that it was the small highlights and differences/common elements between DNA strands, we focused on developing a visual model that could ensure the normal characteristics receded and the deltas between elements could be highlighted easily.